For over three years, Bates has worked closely with the US Special Operations command on a domestic footwear solution specifically engineered for operating in advanced mountaineering and high altitude operations. 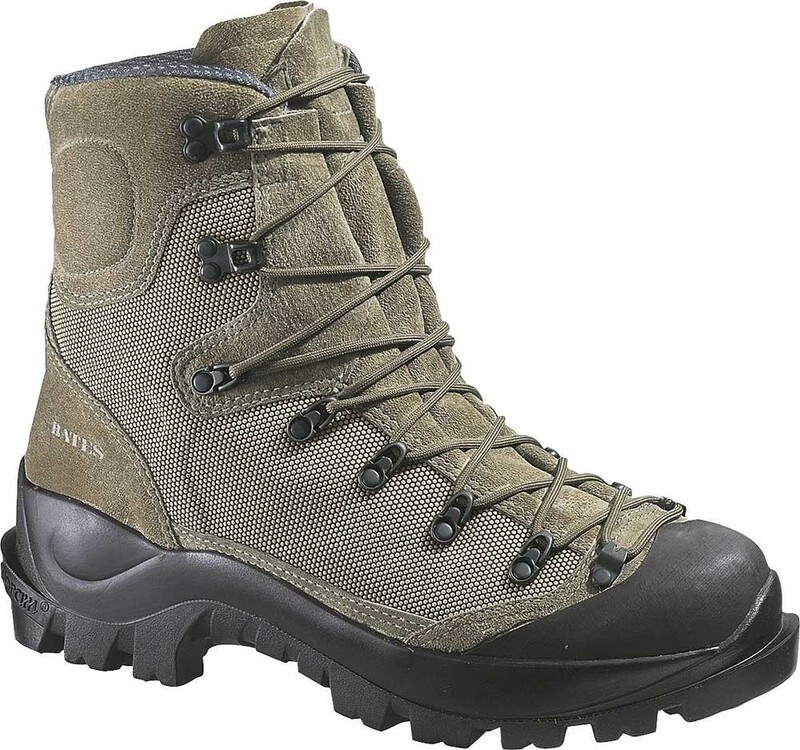 With its cutting edge technology and premium grade materials, the Bates Tora Bora Alpine Boot offers total performance for a broad range of temperatures and fierce environments. This boot provides stability and traction needed to navigate through extreme terrains including deep snow pack, arid desert sand, muddy slopes and sheer rock face. Made with Wolverine Performance Leather and SuperFabric upper materials with a Gore-Tex lining, the Tora Bora Alpine Boot is durable, extremely well insulated and waterproof to keep your feet warm and dry. An X-Static lining provides anti-microbial and odor eliminating benefits. When dealing with ice and snow, the Vibram outsole reduces build up and pyramid lugs work to increase traction. The Tora Bora Alpine Boot is Cramp-on compatible, providing optimum safety in snow and ice environments.